This silhouette vector pack comes with many different active poses. 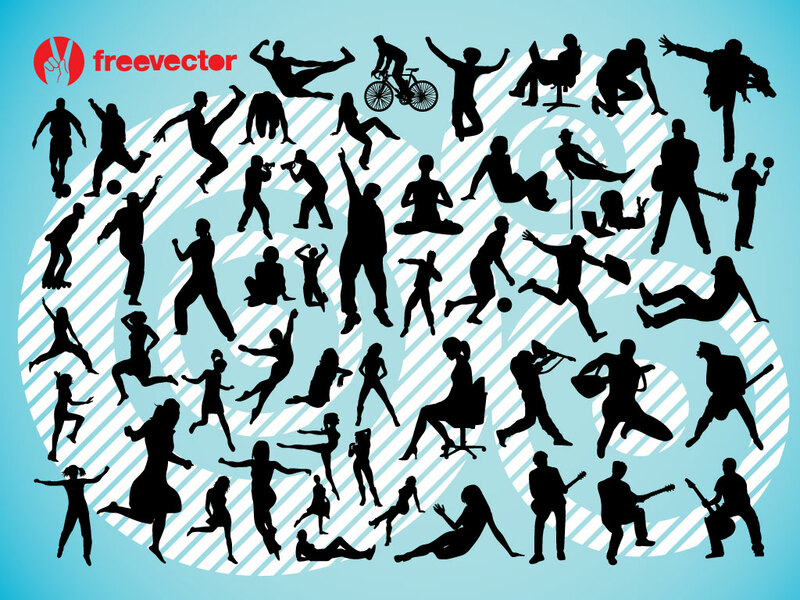 Dozens of great vectors for your use like; martial arts, cycling, guitar playing, jumping, laying, singing and many more. Download as AI and PDF for your collection.